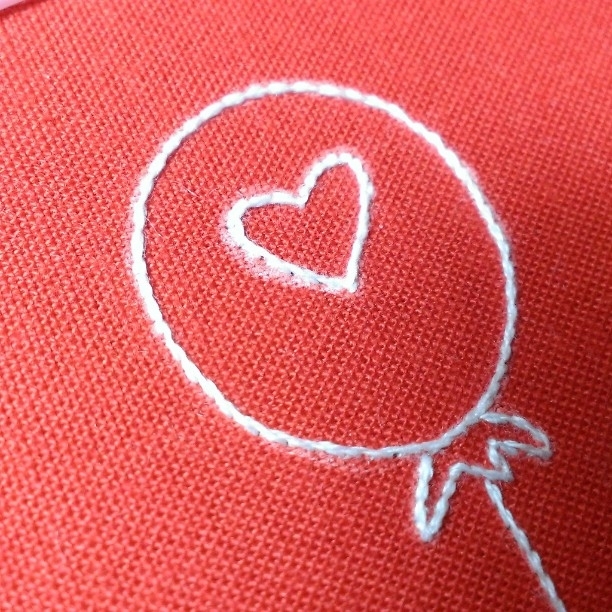 Since St. Valentine’s Day always says “hand-crafted” to me, I decided a quick embroidery project would be just the thing. 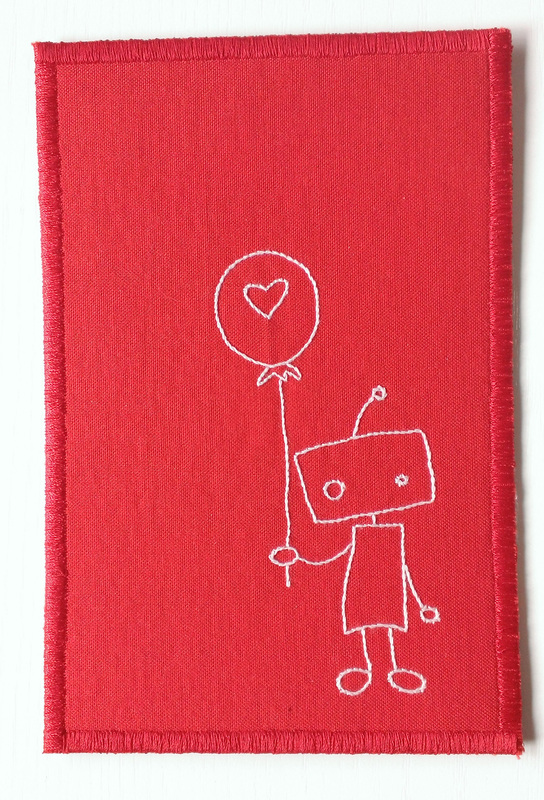 Hmmm….what would a modern embroidered Valentine look like? 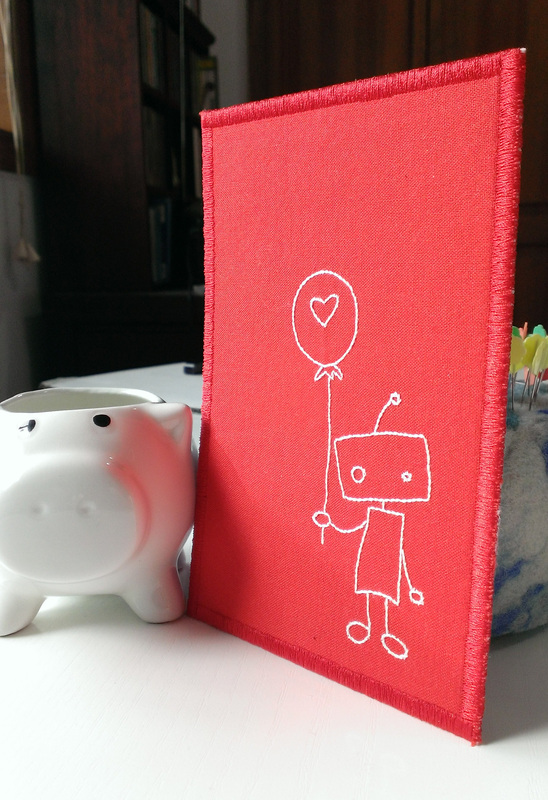 Of course, a robot holding a heart balloon! I can’t take credit for the design – it’s a hand embroidery pattern from Urban Threads. The minimal red and white color scheme (you know it’s a fav) and design placement are all me. And, at 4×6 inches, it’s postcard sized and stiff enough to send in the mail. As it turned out, I did miss the swap and I gave this Valentine to my sweetie. All is as it should be. P.S. If you’re inspired to do something similar, dark background fabric hides thread tails and thread travels quite well. And, as a bonus, a Clover White Marking Pen shows up and the marks iron away after you finish stitching. I hadn’t thought of that, but now that you’ve mentioned it….it’s stuck in my head. By the way, This card is SUPER CUTE!!!!!!! !